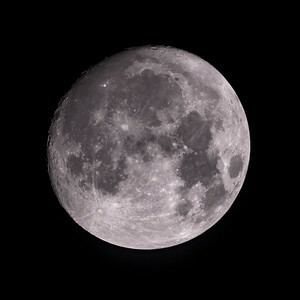 An almost full moon - a stack of 12 RAW files. 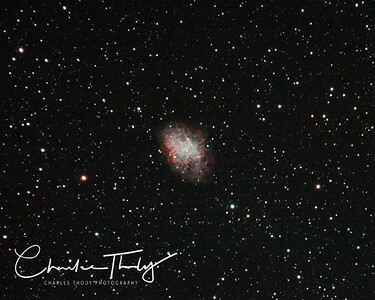 Messier 1 The Crab Nebula. A supernova some 6000+ lightyears from earth. 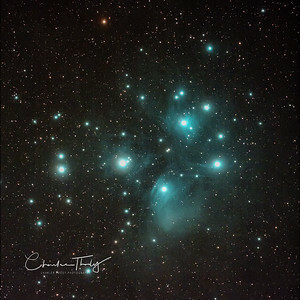 Messier 45 The Pleiades Star Cluster. 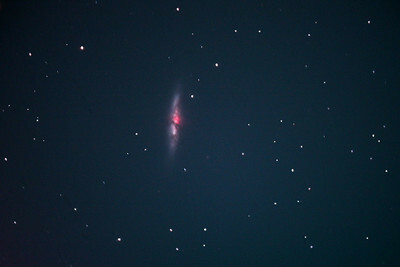 Orion Nebula taken on 30th September over Mull between 3am and 4am. 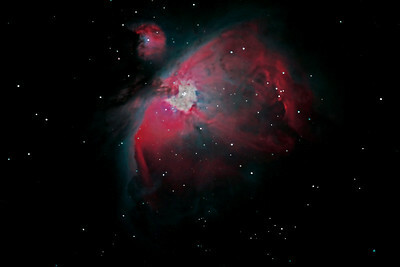 My latest image of the Orion nebula - taken with a modified Canon 450D. 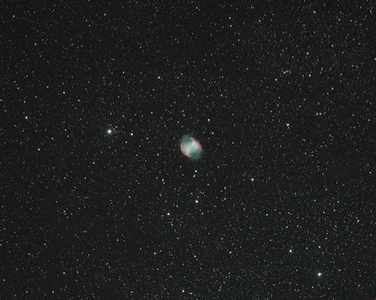 Compare this with the next image, also of the same nebula. The modified camera allows the sensor to detect a wider spectrum of light than the unmodified camera used for the other image. 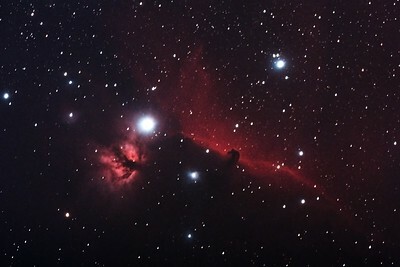 It is a beautiful nebula found below the belt of Orion. 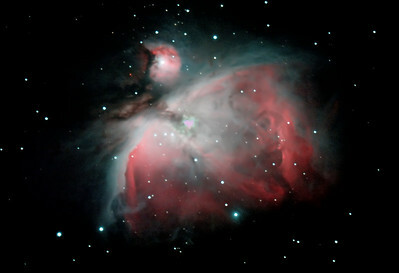 The Orion Nebula, Messier 42 - my best photo of the nebula to date. 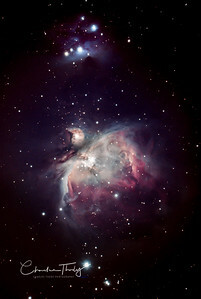 Some 1500 light years away from the earth, the Orion Nebula is a place where stars are formed. Sometimes (on a dark and clear night) you can just make it out as a "grey smudge" under the belt of Orion with the naked eye. 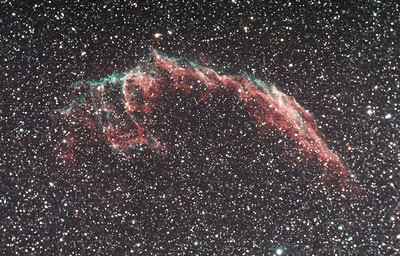 NGC 6995 - The Eastern Veil Nebula. 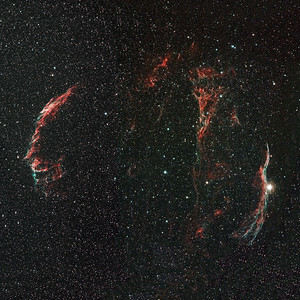 A supernova remnant some 1800 lightyears from earth in the Cygnus constellation. 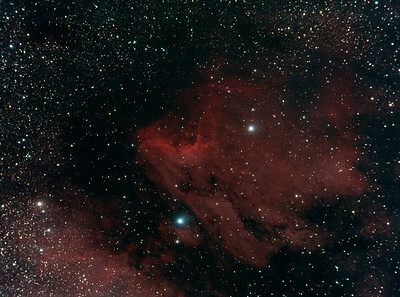 The Pelican Nebula - in the constellation of Cygnus - around 1800 light years away. 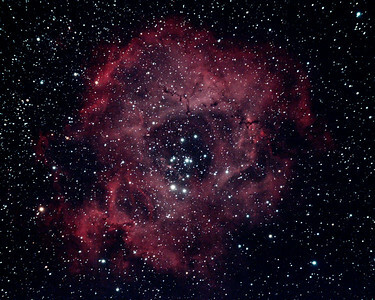 The Rosette Nebula, a vast cloud of gas and dust some 5200 light years away. The hole in the middle measures some 30 light years across!! Taken over Pembrokeshire in March 2013. 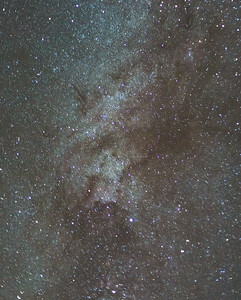 A single 36 second shot of the Milky Way over Mull on the 28th September 2013. 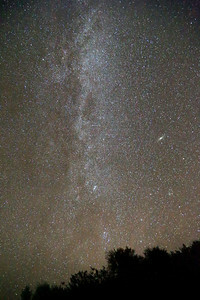 A little light pollution from nearby Tobermory, the high moisture content in the air picked it up. 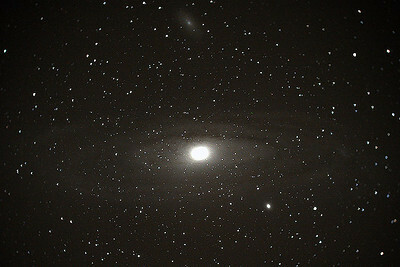 Nevertheless, the Andromeda Galaxy is seen in this phot, half way down the right hand side. 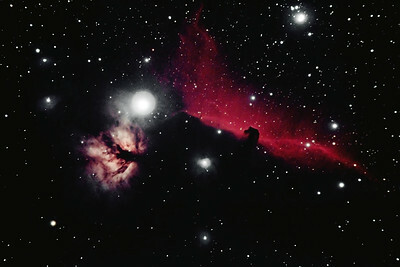 The Horsehead Nebula, made famous by some stunning images taken from the Hubble Space Telescope. 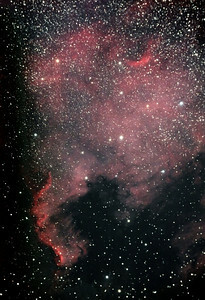 This is a small dark nebula that is silhouetted against the glow of the emission nebula IC434. 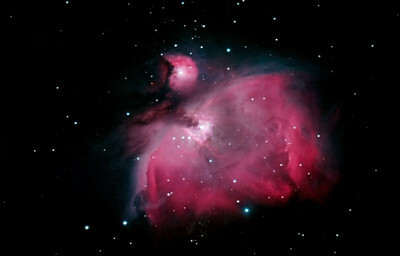 This nebula is found just south of the leftmost star in Orion's belt and is around 1600 lightyears away from the earth. 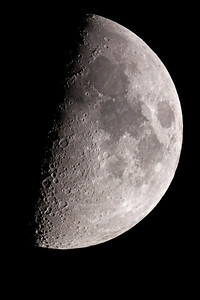 Taken with a modified Canon 450D and 8" SCT scope. 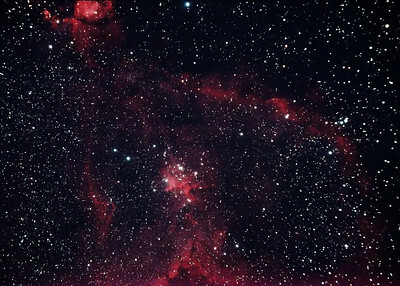 The Heart Nebula, around 6200 light years away. 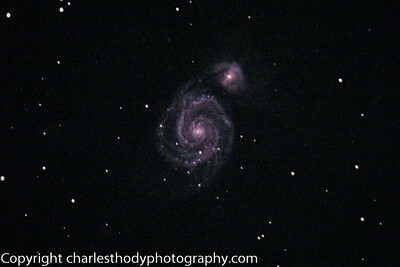 An image of Star Trails over Pembrokeshire. 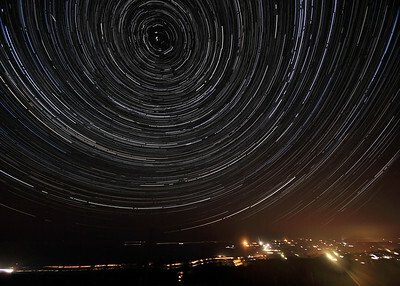 This image comprises around 4 hours and 20 minutes of images, showing how much the earth moves around the Pole Star ( in the centre of the circle) in that time. 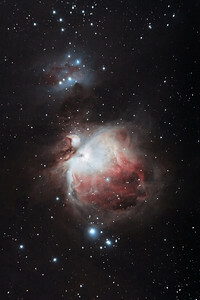 Latest close up of the Orion Nebula. 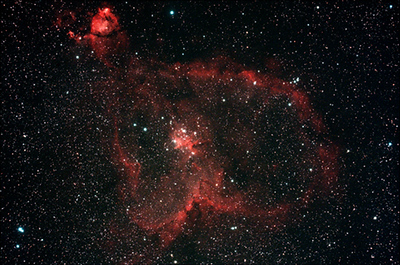 The "North America Nebula" (NGC7000) named after it's shape. 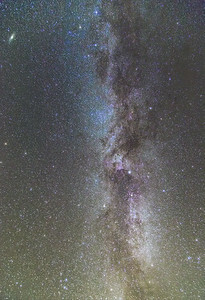 This lies around 2500 light years away from the earth, in the Milky Way, near the star "Deneb". 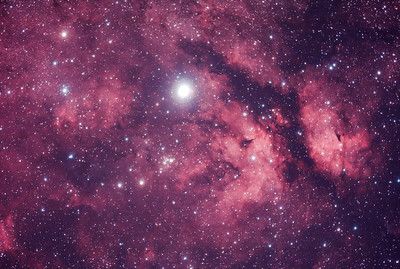 The colour is an interstellar cloud of ionizer hydrogen. 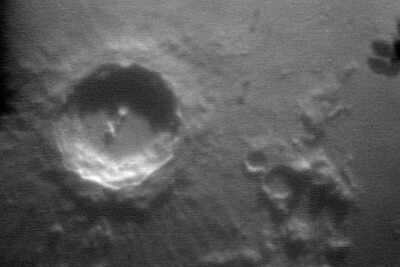 This was an image taken with a modified camera on the back of a telescope I own. A total of 1 hour 3 minutes exposure time. 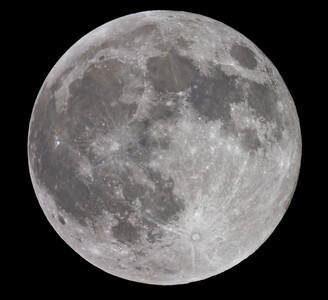 Full Moon over Lincolnshire in February 2013. 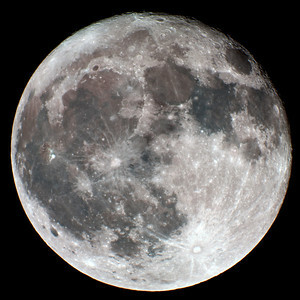 You can even see some colour in the darker areas! Taken on the 1st January 2012 over the Presselli Mountains of Pembrokshire. 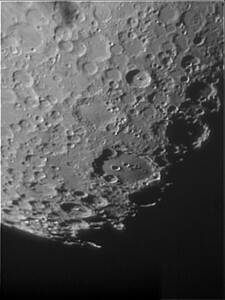 One of my favourite images of the Moon as the light has brought out detail of the craters. 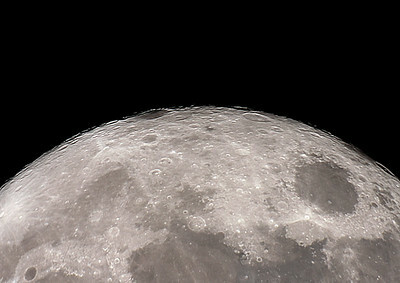 A close up of one of the moons craters. Moon rising over Pembrokeshire. 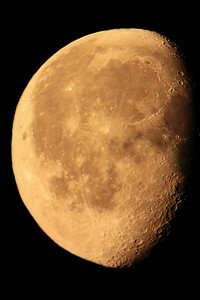 This was taken when the moon was just above the horizon and before it disappeared into cloud. 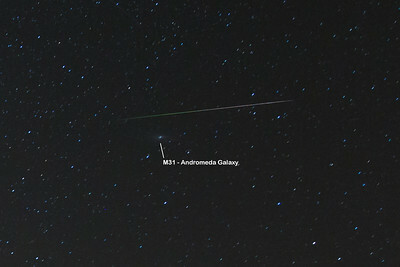 Another view of M31 Andromeda. This time taken with a Modded camera and around 1 hour of exposure time. 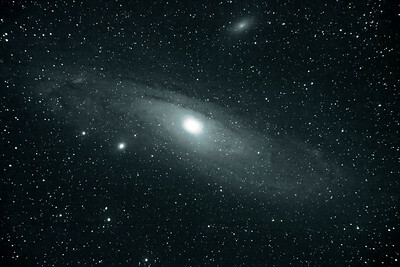 The Andromeda Galaxy. 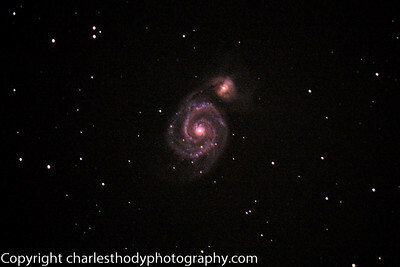 Taken with a Canon DSLR mounted on a telescope, 20 images at 1 minute exposures, ISO 1600. 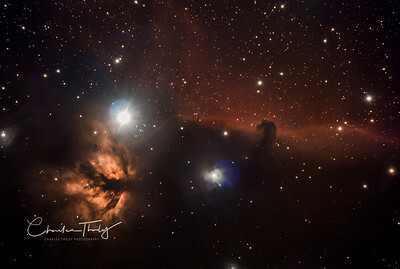 Images then processed in a program called "Deepsky Stacker". 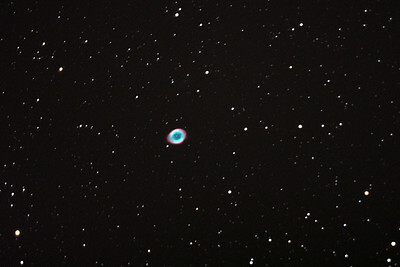 A widefield view of the Ring Nebula (M57). 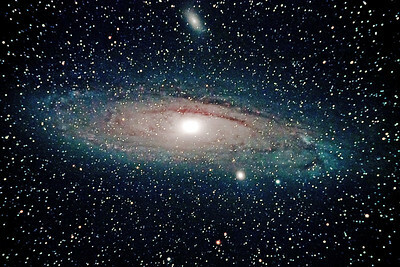 Around 1400 light years away. 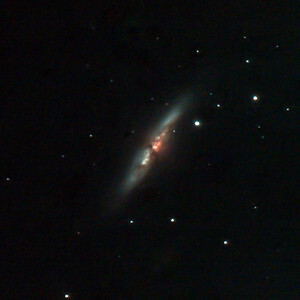 Messier 82 - Close to Messier 81, M82 is also known as "The Cigar Galaxy" because of the shape that we see. 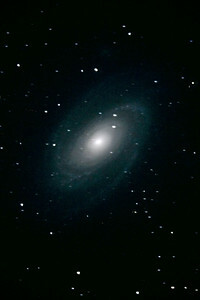 Like M81, it is about 12 million light years away. 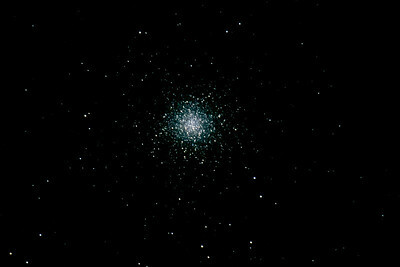 Messier 5 globular cluster, containing up to 500,000 stars, 24,500 light years away and about 13 billion years old! 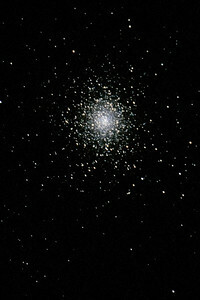 Messier 13, some 25,100 light years away and found in the constellation of Hercules. 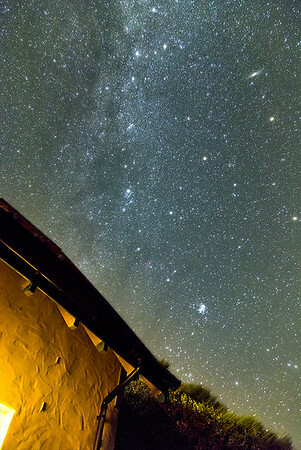 and a magnitude of 250,000 of our Suns! 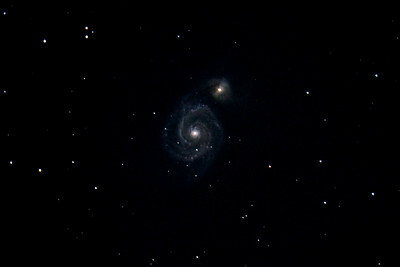 Messier 51, the Whirlpool Galaxy. 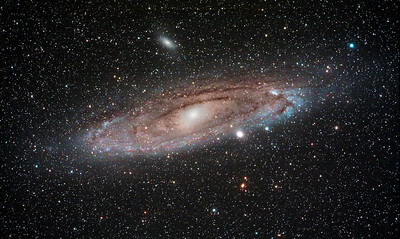 A distance of some 21 million light years from earth, with a radius of some 38000 light-years! 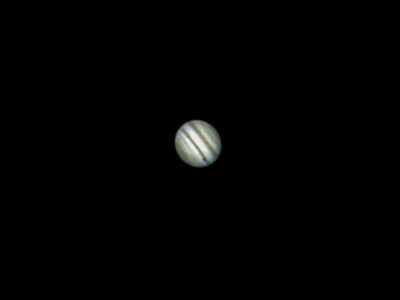 Jupiter, taken on a very windy night, 19th November 2011, in the mountains of Pembrokeshire.